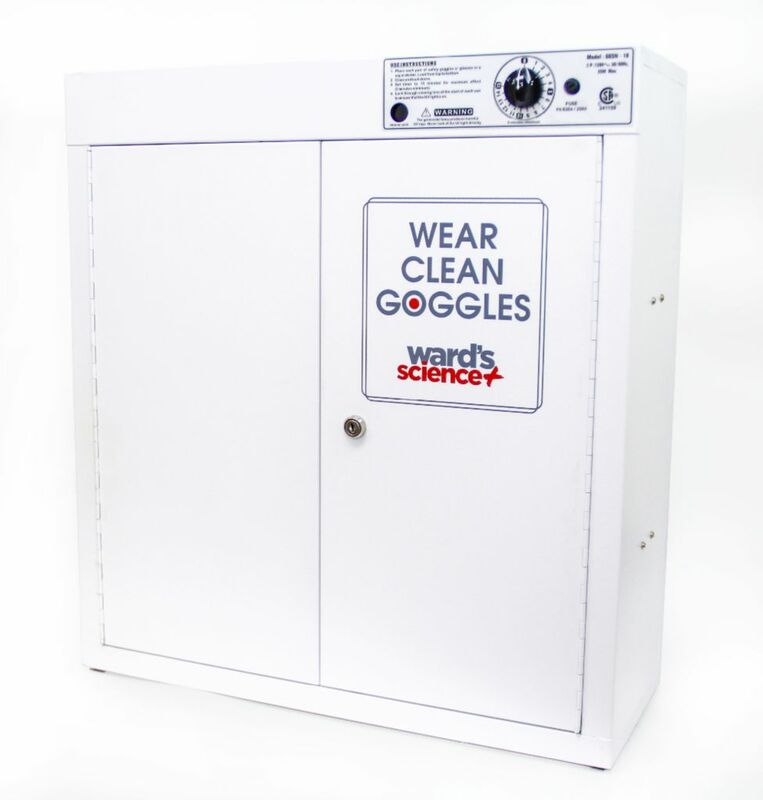 This cabinet quickly and safely sanitizes goggles for the entire classroom. 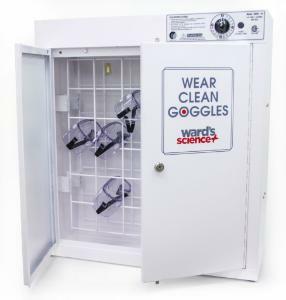 Provide your classroom with sanitized goggles in just minutes. 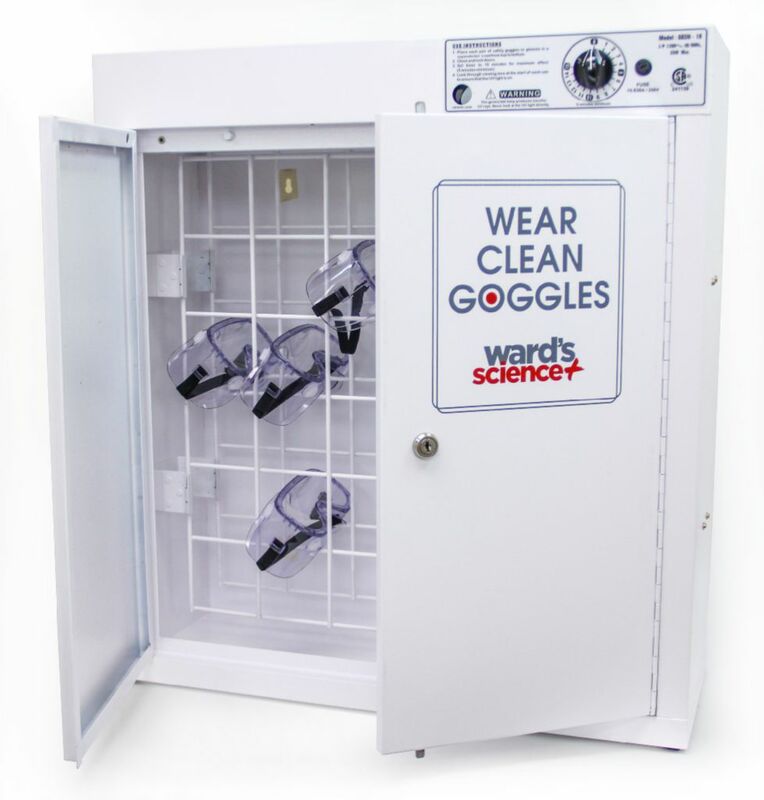 With a capacity of 35 goggles, this sturdy, heavy-gauge steel goggle sterilizer features a UV lamp timer to ensure proper UV exposure and germ eradication. The unit will not operate unless cabinet doors are closed, eliminating the worry of UV exposure. In addition, the unit offers safety features such as welded seams and tight-fitting piano hinges to contain the UV light. 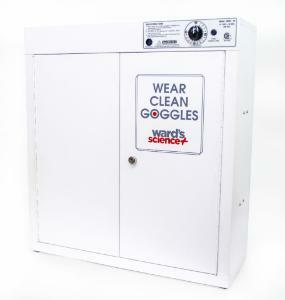 The indicator light tells users when the sterilization process is occurring, and double-latching doors ensure safety.